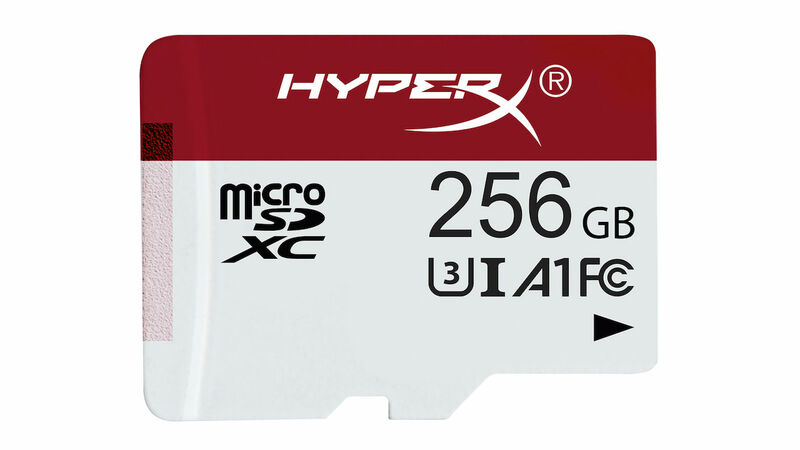 HyperX has announced that they have released a new Gaming microSD Card line in North America, perfect for those that need additional room to store their games on Nintendo Switch. The HyperX Gaming microSD Cards have read speeds of 100MB/s and write speeds of 80MB/s1, technicalities that meet or exceed the requirements for the portable home console. Coming in 64GB (HXSDC/64GB), 128GB (HXSDC/128GB) and 256GB (HXSDC/256GB) capacities, the Gaming microSD Cards are also compatible with mobile phones, tablets and other portable gaming devices. “We are proud to expand our line of HyperX accessories with the new Gaming microSD Cards,” enthused HyperX senior manager for console business, Andrew Ewing. The HyperX Gaming microSD Card line is now available to buy on Amazon in the United States and Canada, priced from $49.99 to $199.99.